Mynewsdesk and Edelman Deportivo have received further global recognition for their 2016 campaign, Give A Beep, with four nominations at Cannes Lions. 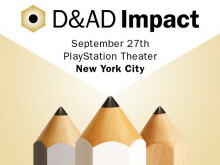 The campaign is nominated in four categories; Best PR Campaign, Best Digital Craft and two in the Best Mobile Campaign category. 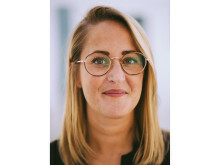 Mynewsdesk, together with Edelman Deportivo and Hövding, have already won over 10 awards at prestigious ceremonies including The Webby Awards, The Golden Egg and AdWeek. A leading digital PR and communications solution provider, Mynewsdesk challenged brands to reach 100 million people through effective storytelling. Hövding was the chosen company for the campaign. Together with Edelman Deportivo, Mynewsdesk reinvented the classic bicycle bell. For the purpose of the campaign, the digital bell (Flic Button) was used to instantly email the Mayor of London whenever cyclists saw any near or actual accidents on London’s roads, while showing the exact location on an interactive map. The campaign has now been nominated for four further awards at the prestigious Cannes Lions. "The success of the campaign is due to the fact that we fully focused on Hövding's core business objective, to protect cyclists, rather than on the product itself. 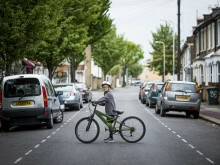 Thanks to clever and innovative technology, we were able to engage cyclists and allow them to influence both their own situation and the wider issues of cycling safety in London", says Sofia Juhlin, Global Head of Marketing at Mynewsdesk. The driving force behind the campaign was to prove how creative storytelling, with the help of an innovative communications platform, could bring even the smallest of brands to compete in an already crowded online space. The target was met and during the campaign period, traffic to Hövding's newsroom increased by 279%. “The success of Give a Beep, and other successful innovative campaigns, make it clear that we must use technology as an integral part of all communications and audience targeting. The companies that make use of today's mobile and computer-driven society are those who will succeed in communicating tomorrow too. It's simply about daring to test new things", says Jonathan Bean, Chief Marketing Officer at Mynewsdesk. 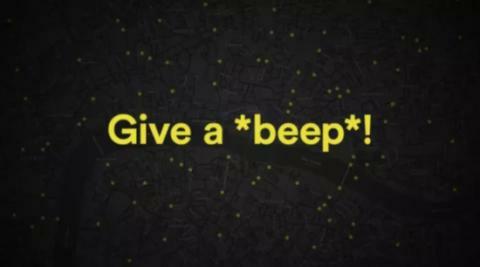 Following the success of Give A Beep, cities around the world have since requested a similar campaign and it is now being used by London's traffic management to build a better relationship with the city's cyclists and deal with dangerous intersections and roads.